London, UK (PRWEB UK) 12 March 2013 Lightmap announces the HDR Light Studio 4 Live connection for RTT DeltaGen 11.0.3. 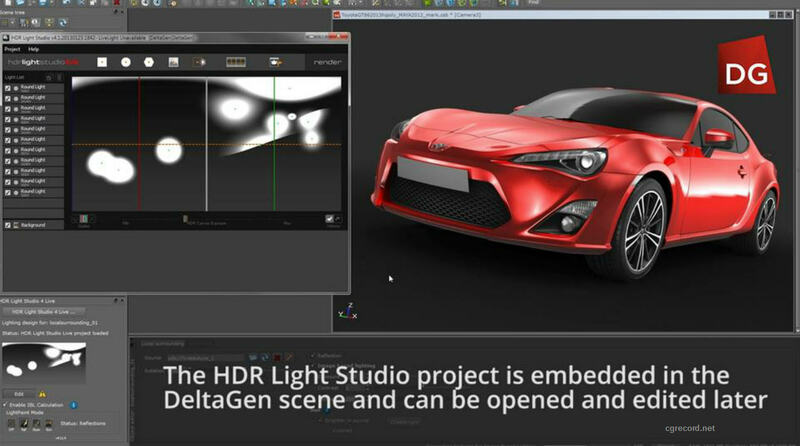 The connection brings full support for HDR Light Studio including the revolutionary interactive LightPaint feature allowing DeltaGen users to click directly within their rendered viewport to place and select lights on HDR Light Studio’s canvas. Along with LightPaint, the latest release brings significant additional benefits including light blend modes, custom falloff curves, SunShade and an advanced colour system. 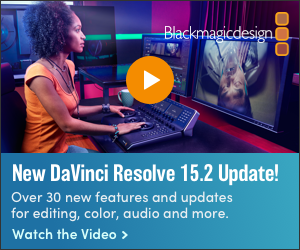 This makes HDR Light Studio 4 a powerful new tool set for all DeltaGen users. Lightmap HDR Light Studio 4 including the RTT DeltaGen Live connection is available immediately for £599 / $999 / €799 per floating seat through the online Lightmap store or any Lightmap Authorized Reseller. RTT is the leading, one-stop-provider of high-end software, consulting and creative services in professional 3D visualization. As a strategic partner, RTT offers sustainable, effective and seamless process support across the entire product lifecycle with its holistic approach. As a result, products are developed faster and more cost-effectively while time-to-market is significantly reduced. Through creative, photorealistic CGI implementations, RTT enables innovative sales and marketing advantages and new dimensions of emotional brand staging. The Group´s customer-base includes companies like Adidas, Audi, BMW, EADS, Electrolux, Ferrari, General Motors, Harley-Davidson, Porsche, The North Face and Volkswagen. RTT AG was founded 1999 in Munich and is listed on the Frankfurt Stock Exchange (Xetra: R1T; WKN: 701220; ISIN: DE0007012205) with about 700 employees at 14 offices worldwide (as of December 31, 2012). For more information, visit http://www.rtt.ag. HDR Light Studio is the de facto standard for interactive creation and control of image based lighting for computer graphics. Launched in 2009, the software provides a fast and efficient way to light a 3D scene with photo-real results, while fitting into all major 3D rendering pipelines on the market. 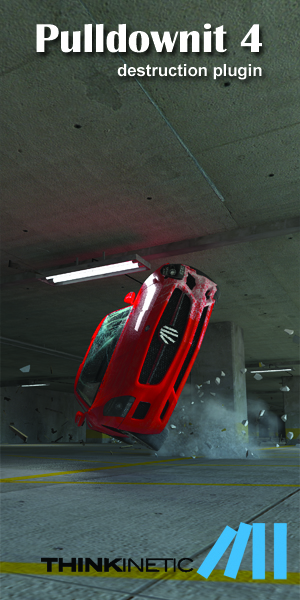 It is used worldwide by 3D artists lighting CGI shots of cars, jewelry and all other rendered models and in animated TV commercials and movie VFX. HDR Light Studio creates a single HDRI map containing the entire lighting for a scene providing total realism with illumination and reflections working in harmony. This innovative, patents pending, approach to lighting has allowed manufacturing, visualization and entertainment companies to bring their creations to life with photo-real perfection. Lightmap Limited is a leader in photo realistic lighting design tools for CGI and VFX professionals. Lightmap software enables artists and designers to create perfection and control reality when lighting their vision.